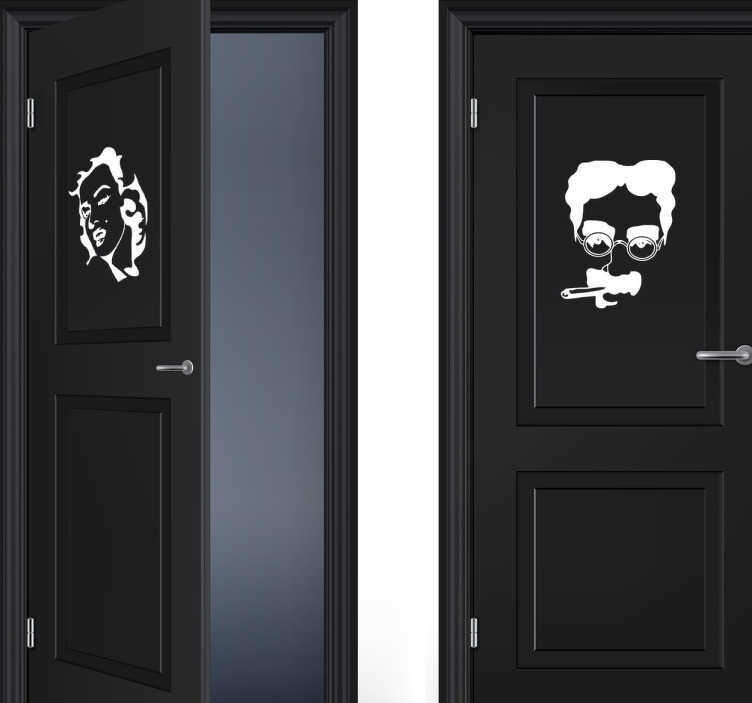 Pair of monochrome door stickers showing the faces of Marilyn Monroe and Groucho Marx available in a wide range of sizes and colours, perfect for showing your guests or customers which bathroom is which in a fun and unique way. Use these iconic faces in your home or business to represent the men's room and the lady's room in an interesting and quirky way. These durable decals are easy to apply with no risk of air bubbles in the meterial.